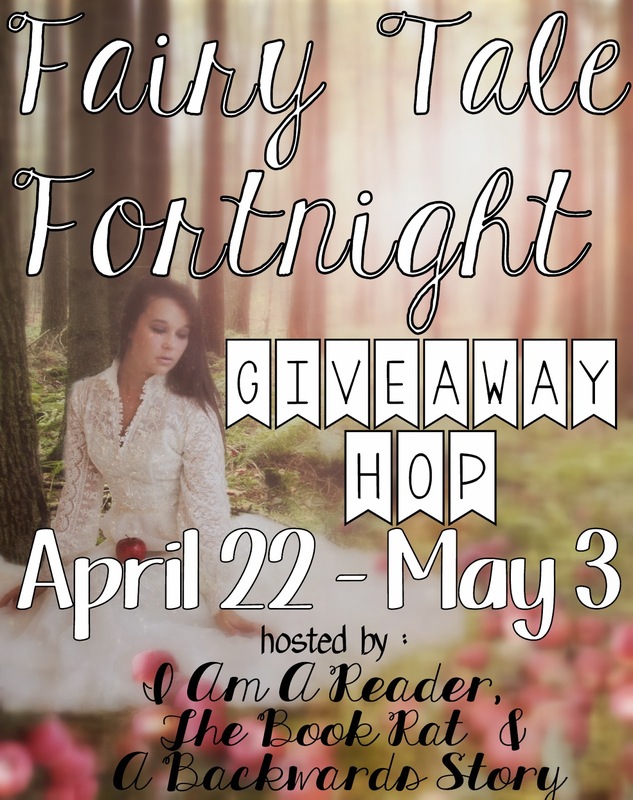 The Book Rat: Fairy Tale Fortnight Update + Blog Hop Sign-up! Because we are so close to the start date, I'm closing the featured guest form. If you really, really want to be featured during FTF, or contribute in some way, please email me or Bonnie. Everyone who is to be involved in some way should have been emailed by now*. If you are an author waiting on interview questions, or a blogger waiting on a response, or whatever, and we haven't emailed you PLEASE email us! With so many emails to so many people flying back and forth, you may have slipped under the radar - but more likely, we both think the other emailed you, and that its been taken care of! We don't want you to be left out, so get a hold of us. Pester us if need be; we won't mind. *Except those who filled out the guest form in the last few days. You'll be emailed soon! There will be a linky (of course) on the first day, to share any posts you may want to share on your own blog, if you're not a featured guest (or even if you are, but just have too much awesome to contain in a guest post or two). And lastly, the sign-ups for the official FTF blog hop are up! You must giveaway a book with a fairy tale theme or element. You must giveaway a book with a fairy tale theme. You may spotlight more than one book and let the winner choose. Please only 1 mandatory entry (up to 5 optional extra entries) for a maximum of 6 entries per person. Your post must be live by 9:01 AM EST on April 22nd. The giveaway must be specifically for this hop & include the required extra info mentioned above. Your site must be family friendly – no erotica or 18+ sites. Blogs may choose to run their giveaway via comments, a google form or rafflecopter.To sign up to host a giveaway add your blog to the linky below with your shipping info in parenthesis following your blog name. If you forget I will assume you are shipping to US only and add (US) after your blog name. DO NOT SIGN UP UNLESS YOU ARE COMMITTED TO POST AND HAVE WRITTEN IT ON YOUR CALENDAR! 1 in 5 bloggers who sign up never post. Please do not be one of them. Thanks! Fairy Tale fortnight is so close. I have been working on getting my TBR down because I know you guys are going to fill it up again. I would like to get a couple fairy tales done to share during this time, but I have been in a contemporary mood lately. I've been waiting excitedly for this and appreciate all the hard work, Misty.